Liu An Gua Pan is a unique Chinese green tea that has been around for centuries. 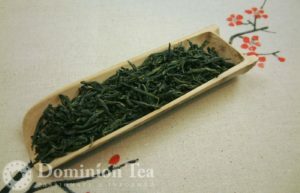 It is considered to be one of the top green teas within China. So let’s explore a little of its history and how to best prepare this tea. Liu An Gua Pan, also called Liu’an Melon Seed Tea dates back to the Tang Dynasty (733-804 C.E. ), making it about 1,200 years old. Its historical location of production is in region around Lu’an City in western part of the Anhui province of China. The region is roughly halfway between Guangzhou and Beijing and is due west of Shanghai. Produced only in the spring, this tea has a very unique plucking style. Unlike many other teas where the pluck style is a bud and some number of additional leaves, the pluck style for Liu’an Melon Seed Tea is only the second leaf on the tea shoot. During production, the growers will actually trim off the bud and first leaf and then pluck the second leaf to make this tea. Also unique is that during manufacturing the central stem of the leaf is either removed completely or trimmed down to match the thickness of the rest of the leaf. The tea is then pan fried to stop oxidation. Liu An Gua Pan is also called ‘Melon Seed’ tea. This name references the flat, oval shape of the leaf which is said to look like a melon seed. Admittedly, that shape is more evident before the manufacturing of the tea than after. However, you can sometimes still recognize the seed shape in the final product. 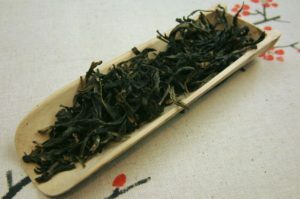 Like other green teas, this tea is enjoyed in a gaiwan in China. They may also brew it in a small clear glass to enjoy looking at the tea leaves will drinking. It can also be easily enjoyed in a teapot or brewed in an infuser in a cup. Melon Seed tea is brewed at lower temperatures (185°F) with shorter steep times (start at 1.5 minutes and work up to 3 minutes). We encourage you to explore Liu An Gua Pian and enjoy its unique flavor. 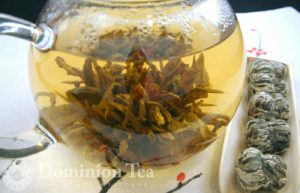 Blooming teas are hand tied balls of tea and flower petals that open up into flower designs when steeped in hot water. These fun teas are not just about the tea, but about appreciating the floral creations. Here are 3 suggestions on how to enjoy these pieces of art. Share the blooming tea with friends. Designed for large glass tea pots that serve at least 2 to 6 people, these pieces of artwork are perfect for entertaining guests. The blooming teas use green tea as leaves, so they brew lighter in both color and flavor. This makes them an easy accompaniment to just about any treat you may wish to serve with the tea. Enjoy these teas out in nature. The Chinese believe tea is best enjoyed outside in a natural setting. This allows the drinker of the tea time to relax and enjoy the benefits of being outside. The mind is given time to calm and clear with exposure to trees, birds, sunshine and water. A picnic in China is incomplete without tea. So join the Chinese in enjoying tea outdoors and bring along a blooming tea to your next picnic. Better yet, enjoy your tea in your own backyard during a beautiful spring day. Enjoy blooming teas as center pieces. The Chinese will often preserve the bloom after drinking the tea by placing it in a vase large enough for the bloom to be completely open. They fill the vase with cold water and 2 Tbsp of white vinegar and then submerge the open bloom. The bloom will continue to impart color to the water, so you may need to change it every couple of days. However, the bloom itself typically will last for a couple of weeks a beautiful centerpiece. This is a fun type of tea to explore and share with friends. Let us know how you enjoy blooming teas. As temperatures start to drop, warmer heavier flavors come to everyone’s mind. It is no surprise Pumpkin Spice Chai is popular in the fall, it contains both spice and the flavor of a vegetable Americans associate with fall. There are plenty of other teas that carry warmer, earthier flavors that can fill the bill for a fall/winter tea, without being a chai. Oolong teas can carry the much needed warmth and earthiness while allowing you to enjoy something other than black tea. Here are 3 of our favorite oolongs for colder mornings. Ruby Oolong – This darker oolong, meaning it is allowed to oxidize longer, from Nepal is amber in color and complex in flavor. 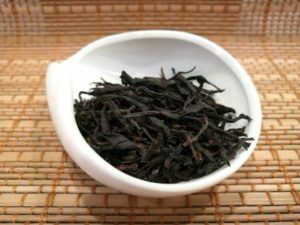 It carries earthier flavors than a typical oolong, making it closer in flavor to black tea yet more complex. It has a heavier mouth feel, with a lingering butterscotch flavor on the finish. Fanciest Formosa – This oolong from Taiwan carries both floral and woody flavors while also being creamy. If you are paying close attention, you can even pick up stone fruit flavors like peach with this tea. It has a slightly sweet finish that is reminiscence of honey pastries and breads. It is not as dark in color as the Ruby Oolong but still brews a golden orange color that reminds us of fall leaves. Golden Buddha – While having a floral aroma, this tea carries a heavier mouth feel with a stone fruit flavor, like plum or peach. This brews a light amber color and finishes with a sweet caramel flavor that lingers. If you are not sure you want to try oolongs, this is a perfect place to start. Oolong teas are often overlooked here in the U.S., which is a shame given their wide range of flavors. 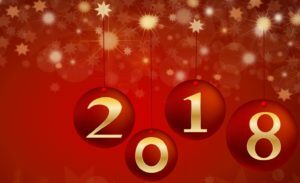 So explore and enjoy this category of tea with us.